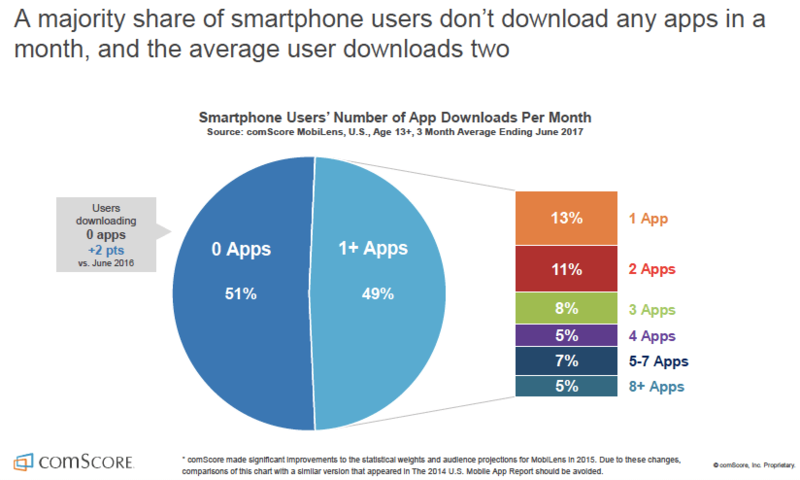 And perhaps the most consequential graph — and one which I’ve been using in presentations since 2014, as it hasn’t changed (at least with comScore’s measurement) since then — is the one which declares that a majority of smartphone users download 0 apps per month. Again, none of these assertions are controversial, at least from the perspective of mobile marketers: comScore’s 2017 report is more or less a straight-line continuation of its 2016 report. 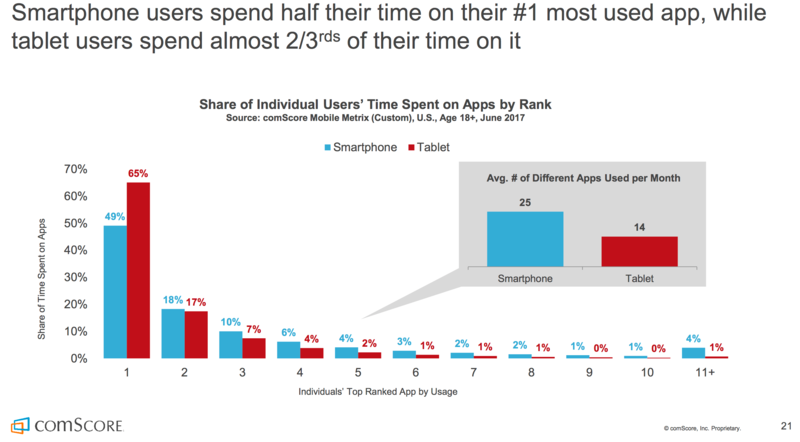 What’s interesting to think about, though, is how this portion of the mobile reality commingles with another: the massive rise of video consumption on mobile. 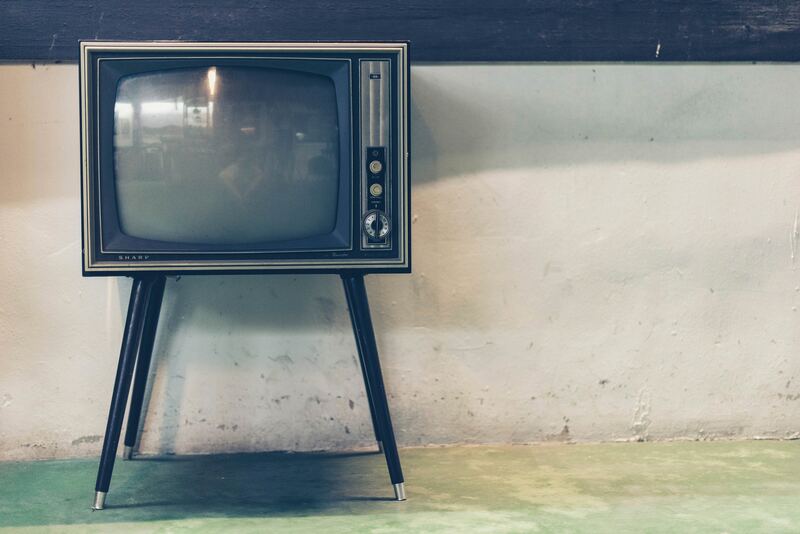 Google and Facebook both operate video consumption channels on mobile, Google with YouTube and Facebook, increasingly, with the Facebook app: first with Facebook Live and now with a recently-announced $1BN investment into original television programming for its Facebook Watch feature. Facebook and Google (via the graph above) own enormous mobile market share, but they’re not the only contenders in the mobile video space: Netflix, HBO, Hulu, ESPN, xFinity, Amazon, Starz, et al. are all making considerable amounts of money on mobile via their streaming apps and are investing heavily into original content — especially Netflix, with a 2017 content budget of $6BN — to attempt to rout one another. 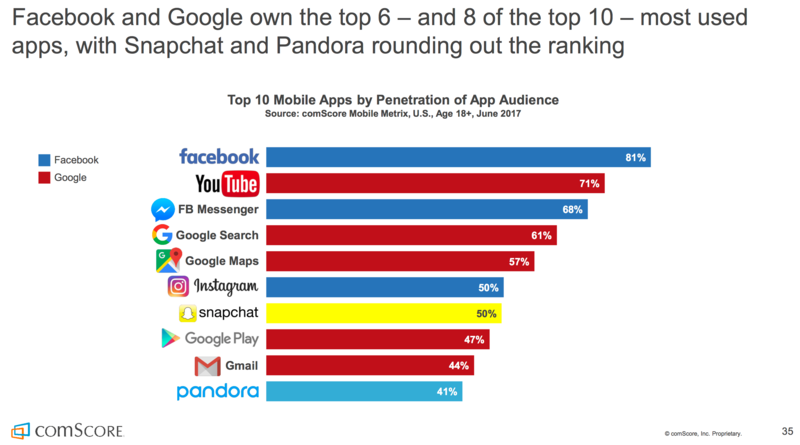 The intersection of the trends noted in the comScore report and the battle being fought for mobile video dominance is creating an interesting storm: all of these companies want to become the content “app store” on mobile. 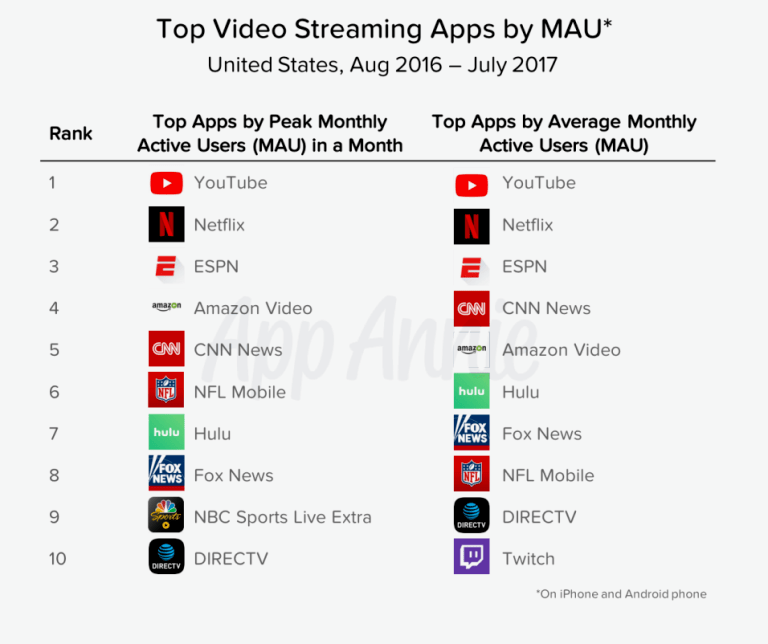 When users download no or very few apps per month and spend a large percentage (if not a majority) of their time on mobile in their favorite app, the dominant streaming video app becomes the de facto distributor of mobile video content. Much in the same way that apps are being intermediated by “app stores within the app stores”, pitting the largest in-app audience owners on mobile against the platforms, the streaming video app owners are hoping to become the go-to distributors of video content on mobile. This is important for a few reasons. 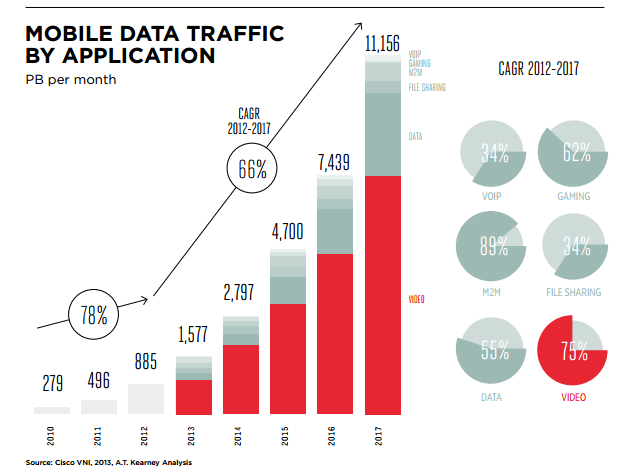 The first is that the big telcos love video on mobile: it’s a cash cow. Consumer mobile data prices are decreasing across most of the world, but serving data to customers is still highly lucrative to telecom operators, and they’re all immensely invested in ensuring that customers are able to consume as much video on mobile as possible. This development was likely at least one of the catalysts behind the (stalled) monster $85BN merger of AT&T and TimeWarner; AT&T owns the DirecTV mobile app and offers free data usage when users stream native DirecTV channels on it. The battle for the smartphone as a remote will likely involve many more cases like this, where the telcos either join the melee themselves, acquire / invest into their preferred services, or partner with mobile video providers. The second reason the above outlined trends are important is that mobile video is the big growth frontier for advertising: TV advertising is moribund, and advertisers are looking to mobile video to reach new and existing customers, especially as millennials continue to cut cords (or continue to never subscribe to television services in the first place). And so the battle for video on mobile is essentially the battle for advertising dollars on mobile, with all of the attendant challenges that creates: metrics reporting, viewability, inventory management, targeting mechanics, etc. These are problems that Google and Facebook have become very adept at solving, and these two companies are evolving to solve those problems specifically for mobile video. Mastery of ad serving on mobile is not a trivial advantage here: if these two companies can capture the lion’s share of advertising dollars because they can most efficiently and transparently serve ads in mobile video content, being outclassed on proprietary content production may not ultimately matter to them.